Gabriel hopes the mandate of the UN mission will be agreed upon before the Russian presidential election. The mandate of the UN peacekeeping mission in Donbas should extend to the entire territory beyond the control of the Ukrainian government, and its members must be armed. "There must be an armed and strong UN peacekeeping mission, which has to remain in the occupied territory, and not to protect just a small group of OSCE monitors," Interfax-Ukraine quoted Germany's top diplomat Sigmar Gabriel as saying at a joint news conference with his Ukrainian counterpart Pavlo Klimkin in Kyiv on Wednesday. 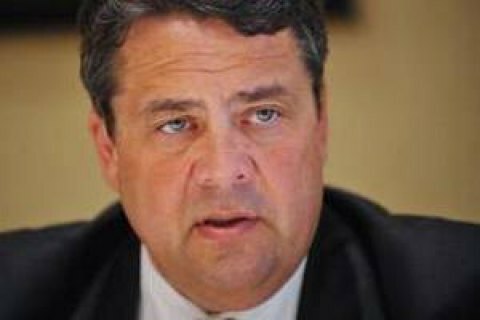 Gabriel also expressed the hope that the parties would be able to agree on the mandate of the peacekeeping mission and the UN in Donbas prior to the Russian presidential election (due on 18 March 2018). "I would like that a stable truce did not depend on the elections in Russia, and I hope that we will be able to take a realistic and reasonable mandate for Ukrainian mission before the elections in Russia," he said. Earlier, the representative of Ukraine in the working subgroup on security issues of the Tripartite Contact Group, Yevhen Marchuk, said that he was sceptical about the deployment of UN peacekeepers in Donbas.